I support initiatives aiming at building modern leadership in Polish companies and helping managers and company owners in successful transformation of their businesses on their path to grow. I am public speaker at business conferences. Aligning sales and marketing in social selling. 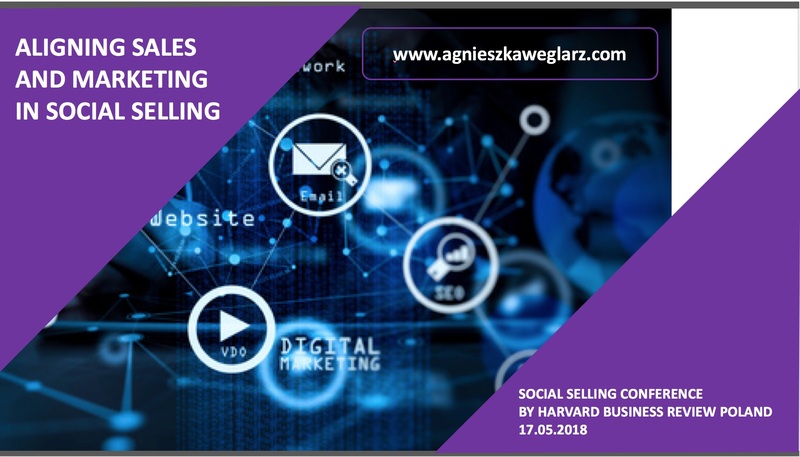 During my recent speech at the Social Selling Conference, held at Warsaw Sheraton by Harvard Business Review Polska I was talking about how to synchronise both sales and marketing in order to achieve even double digit growth through social selling. 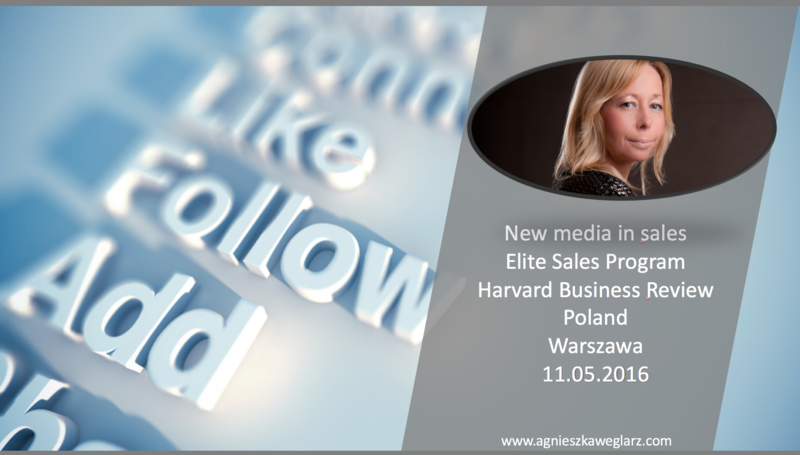 David Meerman Scott was a guest at the recent Harvard Business Review Poland conference held in Warsaw, focusing on new media and its application in sales. David really understands the power of social media. During his speech, he demonstrated excellent examples of how to use it to attract, engage, and convert customers. There is no such a thing as an anonymous customer. If you want to engage people in social media, you have to understand them. When you think of building a social media strategy, start with thorough segmentation. And then, if you want to build effective lead generation, you really need to know your ideal buyer persona. You won’t engage people without knowing the value that you can to bring to them. And be sure this is the value that they are looking for. If you just want to sell, your efforts will probably only result in one way communication, without conversion. Don’t oversell. Instead, think of people’s personal goals, aspirations and fears. Whether in B2C or B2B, people will most willingly respond to content that will help them solve their problem. Respect people’s time and money. Make their digital experience with you easy, friendly and intuitive. Don’t be intrusive; don’t try to force them into solutions that are handy for you but wrong for them. The digital customers have no mercy for intruders – they delete, trash and skip everything that violates their comfort zone and wastes their time. And last but not least – quoting from David – be natural in your content. B2C and B2B communication certainly have their specific rules, but at the end of the day, this is human-to-human communication and people always appreciate authenticity.